We are here for a very short time. It's easy to get distracted or become so ingrained in habits that time seems to slip by faster than it really does. Once you realize you've not spent enough of your time where you wanted it to be, it's important to stay aware of where your minutes and hours are spent daily. 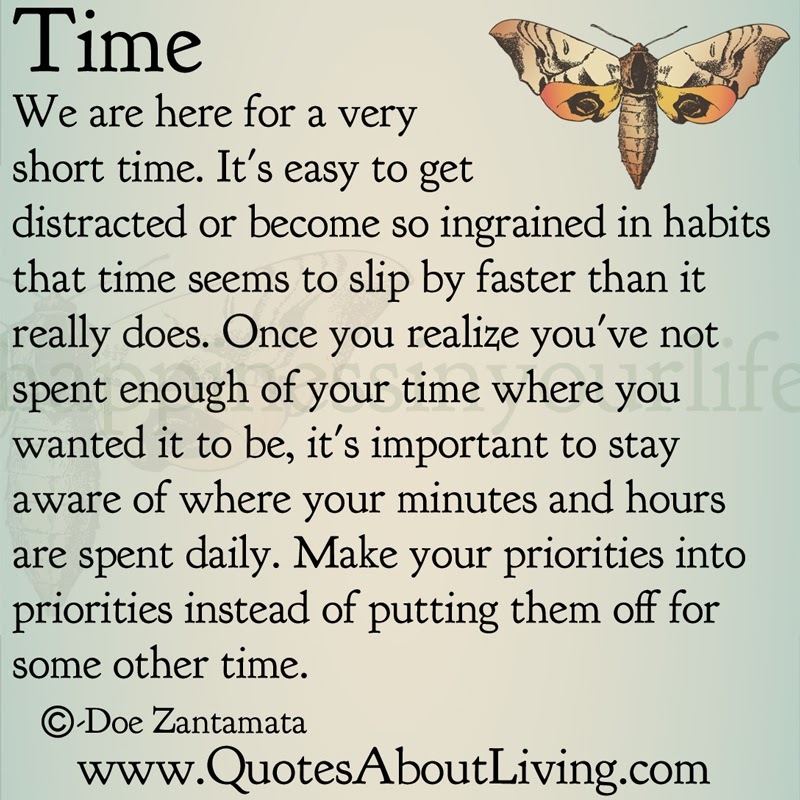 Make your priorities into priorities instead of putting them off for some other time.